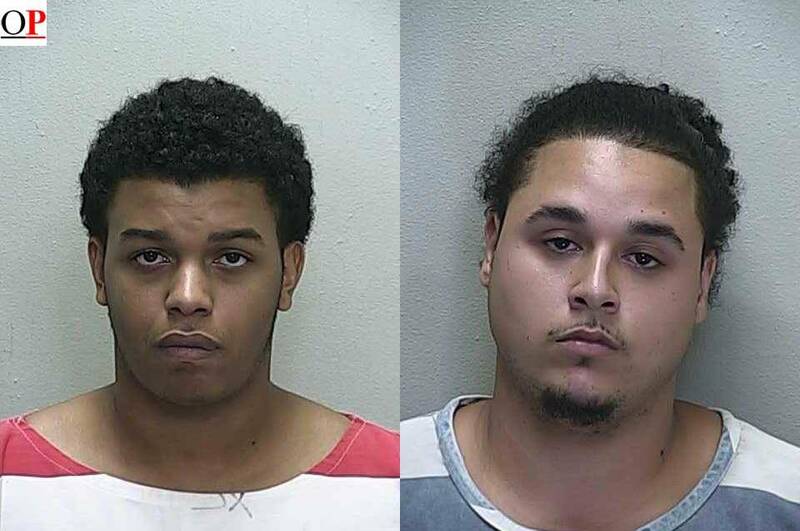 Ocala, Florida — On October 6, 2013 a detective with the Marion County Sheriff’s Office Tactical Investigations Unit responded to the Love’s Truck Stop located at 7791 NW 47th Avenue in reference to a robbery call. Upon arrival, the detective made contact with Deputy Wright who told the detective that a robbery involving a large amount of cash had taken place. During the robbery, the store manager (victim) was struck by the suspect as he sat in the cash office counting money for the shift change. The manager told the detective that one of his employees, Andre Pettiford, 19, came in to talk to him about what work needed to be completed so he (Pettiford) could go home for the evening. The manager stated that after brief conversation, Pettiford opened the door to the management office and a male wearing a dark hoodie and a mask who was holding a rifle came into the office. The manager stated that the unknown male walked right past Pettiford , pointed the rifle at him (The Manager) and told him to give him the money. The manager stated that the unknown male suspect tried to hit him with the rifle but he pushed the weapon away, the unknown male then punched him in the face knocking him out of his chair. The manager stated that is when Pettiford said, “just give him the money”, referring to the unknown male. The manager told the detective that the unknown male had a large dark duffel bag that he was forced to place the money into. The manager stated that the unknown male then exited the office and the store. After speaking with the manager, the detective then questioned Pettiford about the robbery. Pettiford told the detective that he went into the cash office to ask the manager what he needed to do before going home. After a brief conversation Pettiford said he began to exit the cash office and was “rushed” by an unknown black male who entered the business office while pointing a rifle at him. According to reports, Pettiford stated that he told the manager to give the robber the money because it wasn’t “worth it”. Pettiford said it was at that time he and manager loaded the money into the duffel bag. Pettiford was then interviewed by Detective Hoppel. Hoppel asked Pettiford about his accounts of the robbery, and it was at that time Pettiford told Hoppel he wanted to be honest about the robbery. Detective Hoppel then read Pettiford his Miranda Rights, and he signed a waiver of rights before Hoppel proceeded with questioning. Pettiford told Hoppel that he had actually planned the robbery with someone known as “C-Dub”. Pettiford told Hoppel he texted “C-Dub” the words “we are dead” when the coast was clear. Pettiford said he was going to get $1,000 for his part in the robbery, and claims he did not know a gun was going to be used during the robbery. The second suspect was later identified as Luis Maysonet, 22, of Ocala. Maysonet was captured and arrested on Monday, October 7, 2013 around 3 p.m.
Maysonet has been identified as the mastermind in the planning of the robbery. Both Pettiford and Maysonet are now in the Marion County Jail charged with Robbery With a Firearm.